Earlier this week I wrote about how Facebook’s New Feed algorithm change is going to reduce video consumption, but now new research from Wochit reveals that publishers’ video views were already declining in the second half of 2017. This could reflect that algorithm tweaks were already underway prior to the announcement last week. 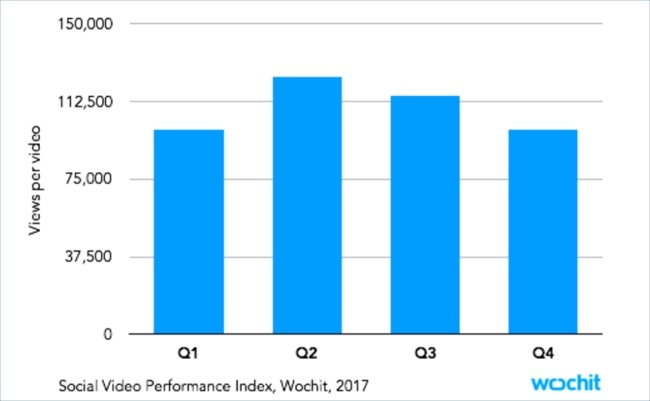 According to Wochit’s 2017 Social Performance Index Report, which analyzes 33,000 different videos created by nearly 300 publishers which appeared on over 500 Facebook pages in 2017, views per publisher video declined by 8% in Q3 ’17 and by 15% in Q4 ’17. These declines reversed the growth in views that occurred in the first half of the year. 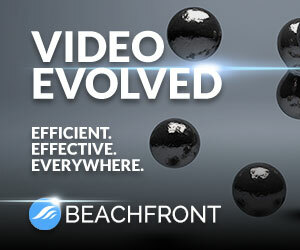 Wochit also found that the top 1.2% of videos account for 38.7% of total views and 58.3% of total shares. Videos receiving under 100K views account for 80% of all videos but receive just 18% of total views and 8.1% of shares. The data reinforces how exceptional it is for a video to go viral on Facebook and how many videos perform modestly. In addition, square videos (resolution 1:1) are surging in popularity, from 26% of all videos in Q1 ’17, to 50% in Q4 ’17. Wochit attributed this rise to the square format being more mobile-friendly and also to square videos receiving better engagement than other sizes including 275% more views, 482% more shares, 523% more comments and 349% more reactions. Wochit expects square videos will become the majority of all videos on publishers’ owned and operated sites as well as on social platforms. Engagement matters a lot because according to Facebook’s VP of the News Feed, Adam Mosseri, a primary driver of publisher video that will be surfaced will be comments, because Facebook deems this to be the most important indicator of content being meaningful to users. Also on engagement, Wochit found that videos longer than 90 seconds performed the best, with 52.1% more shares and 48.2% more views than the average of all videos. During the course of 2017, longer videos also became more popular for publishers, rising from 12.6% in Q1 to 22.1% in Q4. The 2017 Social Performance Index Report includes a range of other valuable insights for publishers. Facebook is critical for publishers, especially those who are “pivoting to video” because Facebook is a huge potential traffic driver. But with the algorithm change, succeeding with video on Facebook in 2018 is going to be harder than ever, so being smart about what kind of video to push to Facebook will be key.